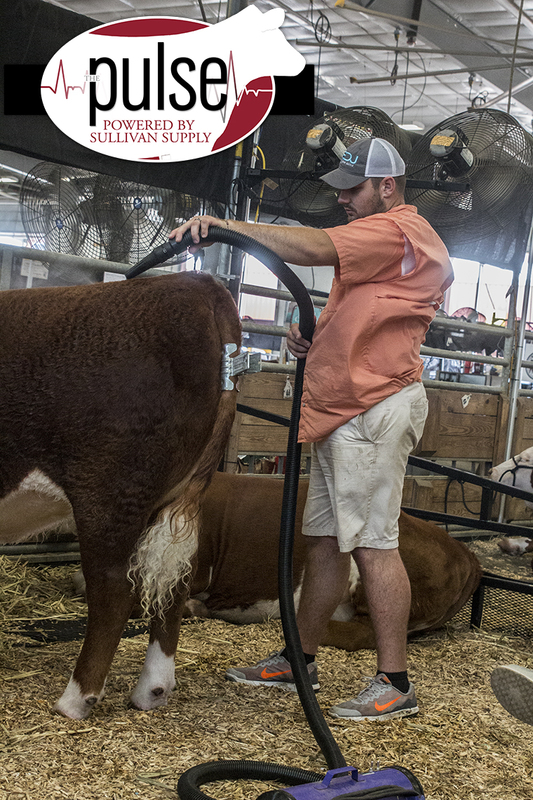 Brian Plumer blows out a heifer after a mid-afternoon rinse. 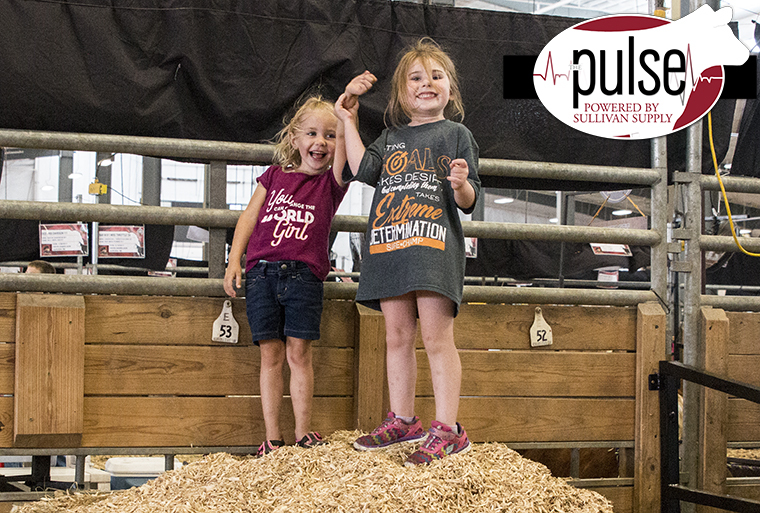 Shayna Wolfenden and Timber Hula made their own fun with a pile of shavings in the barns. 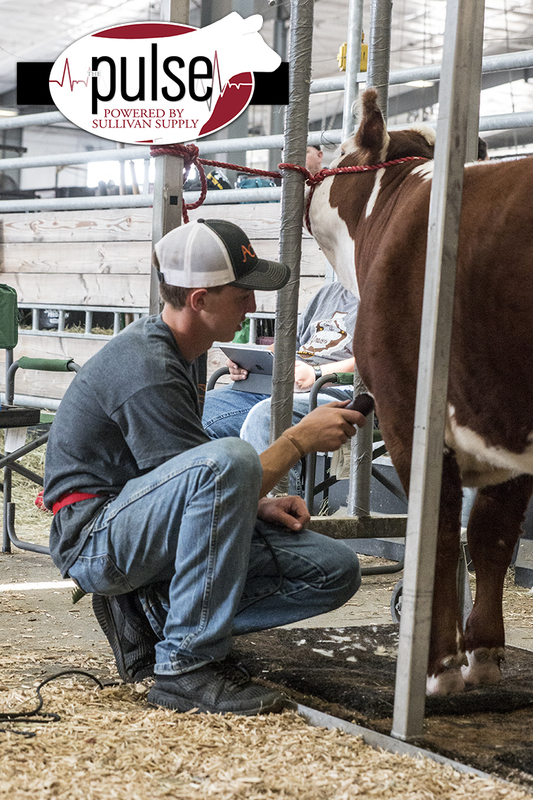 Jacob Toombs uses his 5-Speed Andis clippers to blend in a heifers shoulder. 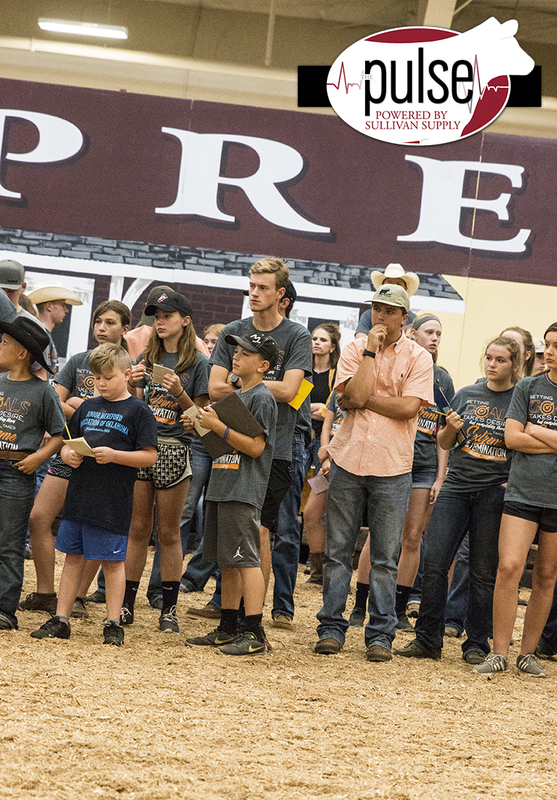 Judging contest participates take their time viewing a class of bulls for questioning. 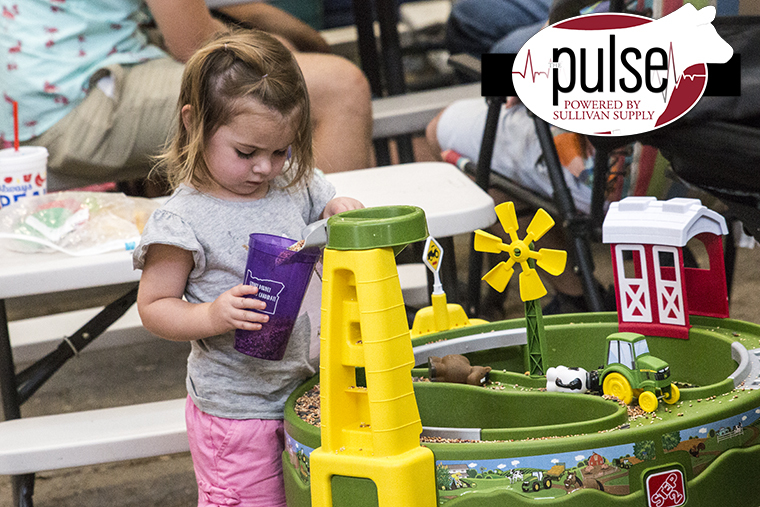 Harper Hawe takes a little break from working cattle to do some farming. 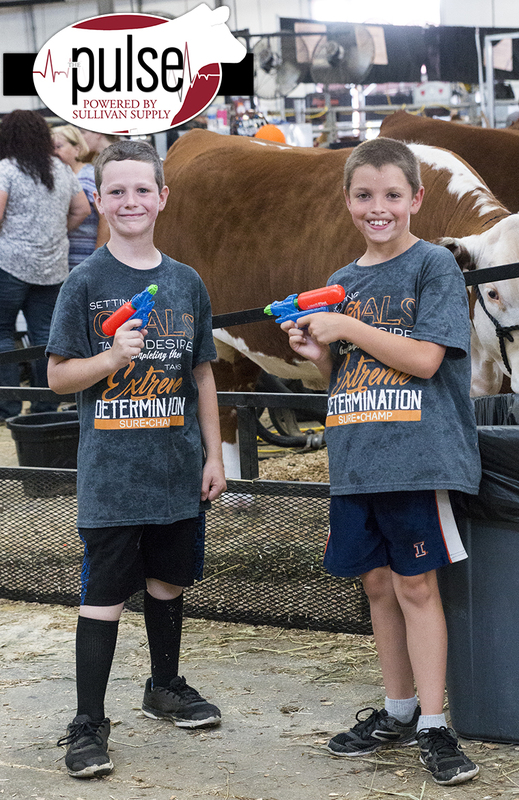 Trevor Crutcher and Caden Perry show off their new water guns from today’s Sullivan’s Supply and Stock Show University’s summer splash boot camp. 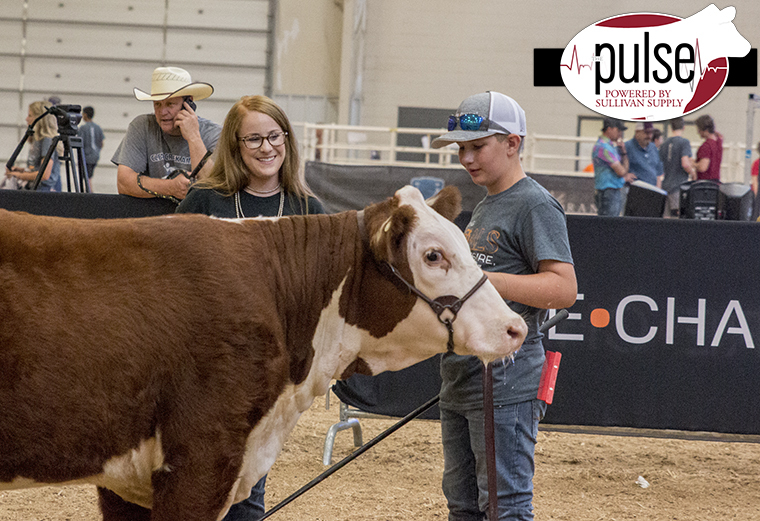 Jeb Painter gets some tips on showmanship from Professor Melissa Schaake during the Showmanship Clinic. 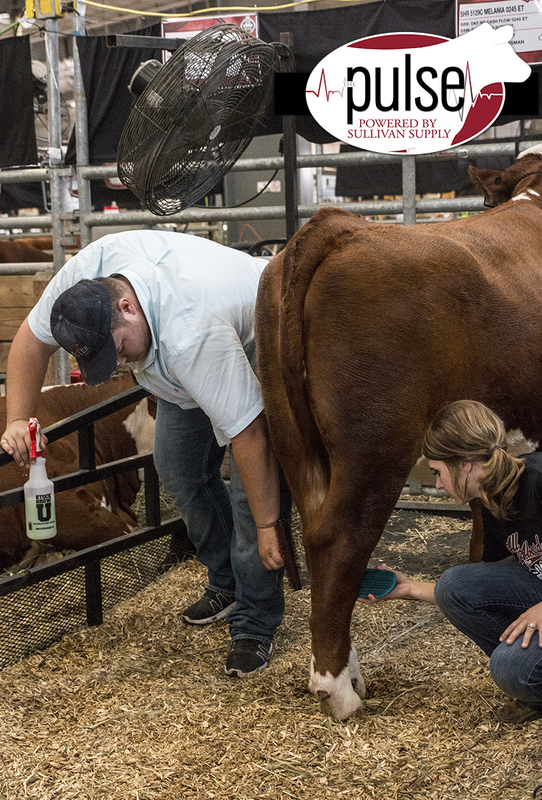 Keeley Russman and Jefferson Keller use Sullivan’s 360 Smart Brush and Smart Scrub Brush to work hair this afternoon before feeding and tie outs. 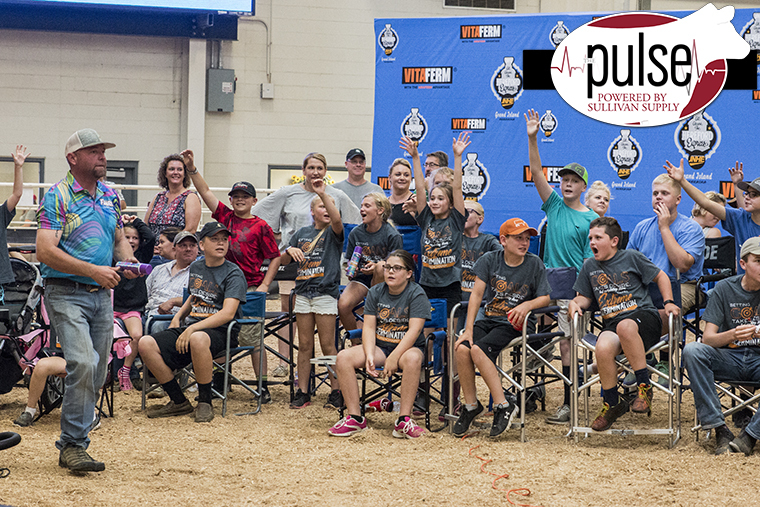 Professor Matt Scasta loves to promote Sullivan’s Flare and get the kids wound up before the Ultimate Fitting Challenge.